After patients who received Botox injections reported fewer migraines, studies confirmed that the drug reduced migraine pains – and the procedure became approved by the U.S. Food and Drug Administration. When Botox is injected into the forehead, neck and shoulder, it releases tension in the muscles, relieving strain on the nervous system – which lessens the pain of migraines. 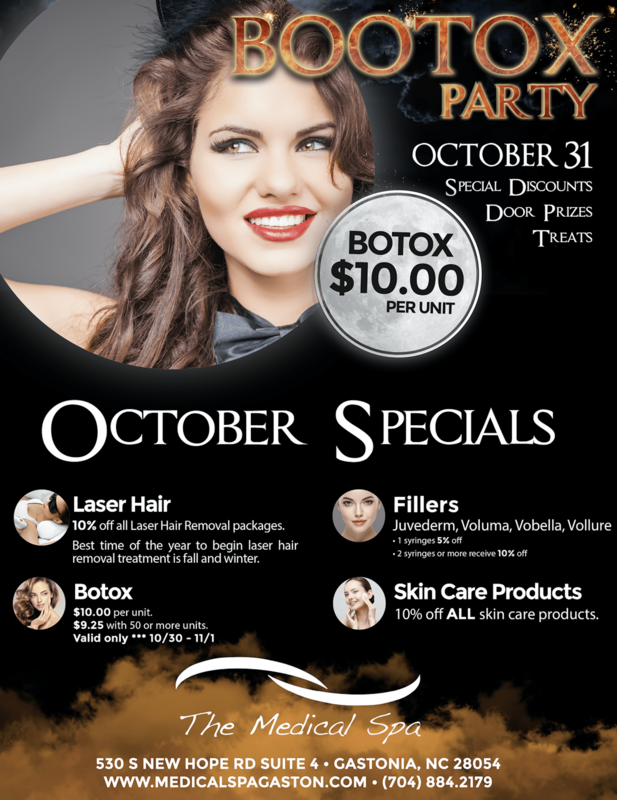 Call now to schedule your appointment @ 704.884.2179 and take advantage of our October special.